A personal finance site’s recent list ranking America’s greenest cities managed to include numerous California cities, including several here in the Bay Area. But at least one of those cities is clearly not willing to rest on its consistently earned laurels. According to WalletHub, nine of the 10 greenest cities overall are in the West. The Bay Area is well represented, with San Francisco at No. 2, San Jose at No. 5 and Fremont at No. 7, not to mention Oakland just missing the cut at No. 11. Topping the overall list is San Diego; two other California cities also made the list — Irvine is No. 4, and Sacramento rates No. 9. Honolulu, Seattle and Portland, Ore., come in at Nos. 6, 8 and 10, respectively. Washington, D.C., the sole Eastern outlier, ranked No. 3. The list’s rankings are based on “26 key indicators of envirognmental friendliness and sustainability” and “ranges from greenhouse-gas emissions per capita to green job opportunities per capita to number of smart-energy policies and initiatives.” Some of the indicators include transportation, lifestyle and policy, energy sources and environment. Fremont’s No. 2 rank for environmental factors and No. 1 tie with Honolulu and Anchorage, Alaska, on energy sources were keys to its successful ranking, but it also probably benefited from its possession of the most green space, 37.25 percent, or about 24.5 times more than Hialeah, Fla., which has the least, at 1.52 percent. In a chat Wednesday, Fremont’s sustainability manager Rachel DiFranco said she wasn’t surprised. 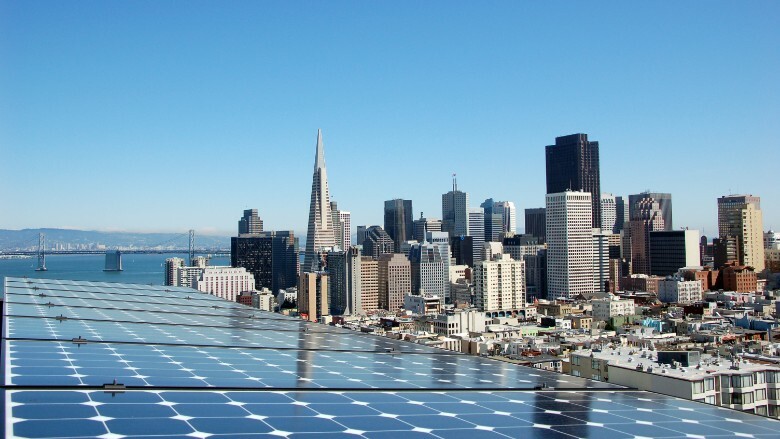 On energy efforts, DiFranco pointed to the city’s participation in county’s East Bay Community Energy agency; its 2017 adoption of code requiring solar panels on all new residential construction, ahead of the state’s 2020 requirement; and its Fremont Green Challenge efforts. “We’re one of the first cities to launch the challenge as a beta platform, and we’re using it to engage in conversations at the household level about how people can reduce their energy use,” DiFranco said. Its site can help residents figure out how much they can cut carbon emissions and save money through moves as large as purchasing electric vehicles or installing solar panels, or as relatively small as switching incandescent light bulbs for LEDs or hanging clothes out to dry. DiFranco also mentioned the city’s high adoption rate of electric vehicles, noting that its 94539 ZIP code had the state’s largest number of DMV-registered electric vehicles. That’s something to keep in mind, even in a time where reports like this month’s dire scientific consensus about global warming can fry emotional circuitry and frighten would-be policy-makers. “Things like the IPCC report are on my mind. Generally, we have a population that’s supportive of making Fremont a green and healthy place to live. We’ve a lot of early adopters, but what we’re trying to do is move the needle on others who may be slower to adopt, or don’t have as many resources,” DiFranco said. 3 Bay Area cities ranked among greenest in U.S. — and one aims to keep improving, by George Kelly, The Mercury News, October 11, 2018.